What do you buy the cat loving traveller in your life? 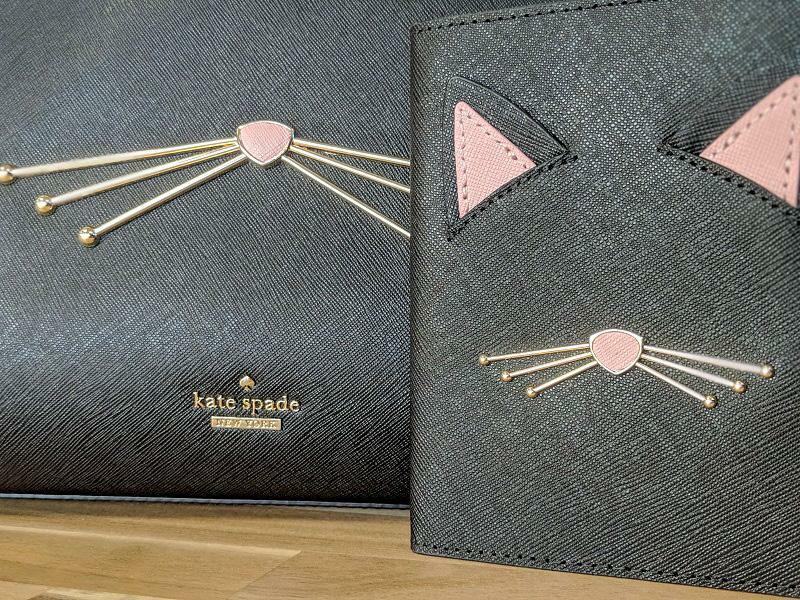 Oh only the Kate Spade Cats Meow Passport Holder, that’s what! Combining quirky and useful, it’s a great Valentines Day gift for your loved one…. I can’t resist anything kitsch and quirky and if it combines cats, travelling and fancy handbags then I.AM.DOWN.FOR.IT. 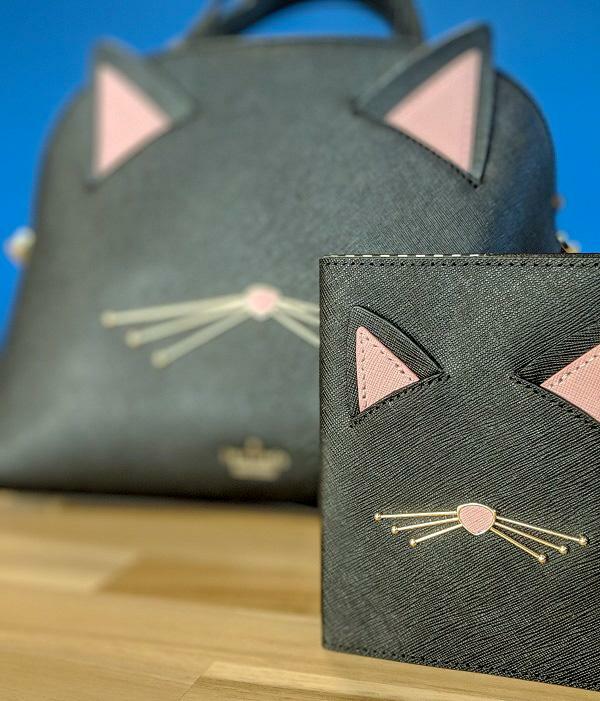 When I spotted the Kate Spade Cats Meow Passport Holder in the sale, reduced to a price a fair way from the original £88, I snapped it up as a gift to my favourite person – ME! Not only is the Kate Spade Cats Meow Passport Holder cute and will protect my dog eared and well battered passport, it matches the Kate Spade bag my Husband gave me in 2017 which you can see HERE. Now I know you need to take your passport out of it’s holder for checks and transit bits and bobs but as precious and valuable as a passport is, I’m a firm believer in covers and cases. I have seen some horrid states while travelling, including a girl get turned away from my flight as she had alsorts of crap spilled on it. If only she had the Kate Spade Cats Meow Passport Holder eh! 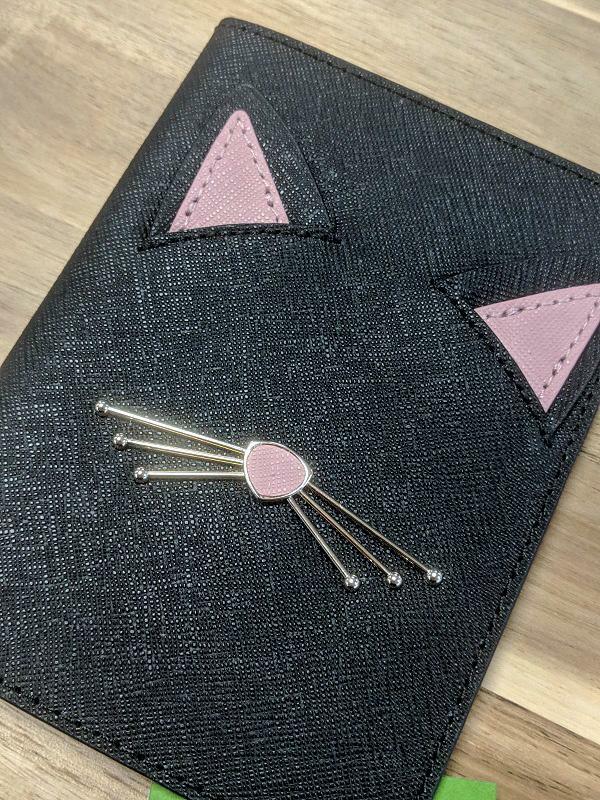 Whilst I’m not usually one for being matchy matchy, had the Kate Spade Cats Meow Passport Holder not cropped up in the sale I probably wouldn’t have veered away from my classy pink holo case. 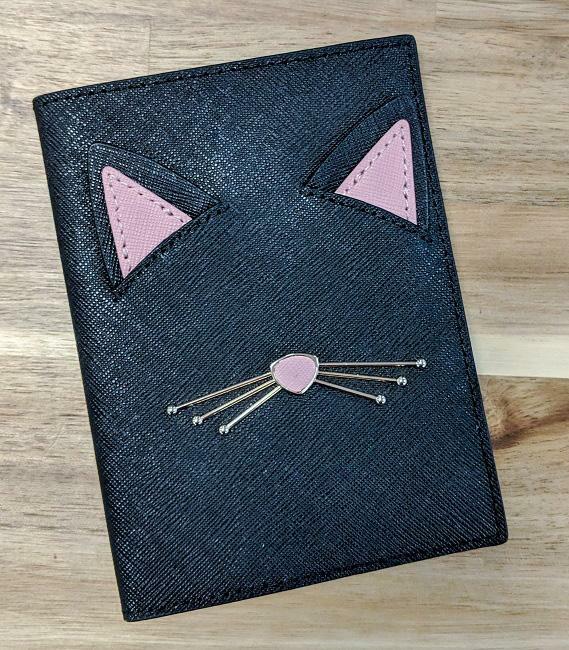 Not only is the Kate Spade Cats Meow Passport Holder still in the sale at the time of writing this, they have lots of other cool passport holders too like a one with the ubitquitous NYC yellow cabs. Perfect if you are surprising a lucky someone with a romantic trip this February.